Some of the signs and symptoms of spiritual awakening include general feelings of warmth and love on a consistent basis, the lack of want to dwell on past events, looking at daily life in a positive manner and even the inner desire to want to eat better. Spiritual Awakening is a beautiful thing. At one point along your journey, you might begin to wonder about Self Realization, or meeting your True Self. In my own journey, I have came across some information that was absolutely life changing for me. What I found is called Sahaja Yoga, and through this type of meditative yoga, you meet your True Self and can thus move forward with your life plans. Sahaja Yoga came to us by founder Shri Mataji Nirmala Devi in the 1970’s. Sahaja Yoga is a type of meditative yoga. For many in the West, when the word Yoga is stated, we only think of being on a mat or practicing body movements. When in actuality, yoga is the practice of the mind, body and soul. The balance of the three can bring you to enlightenment. Sahaja Yoga can be done by any person, in any physical shape. The only requirement is that you allow yourself quite time for about 15 minutes and that you begin to concentrate. It can be done sitting or lying down. I suppose if one had to they could also practice meditative yoga standing, though it is suggested to make yourself as comfortable as possible. This will allow you to journey inward with ease. When you practice this type of yoga, you will do a few breathing exercises. 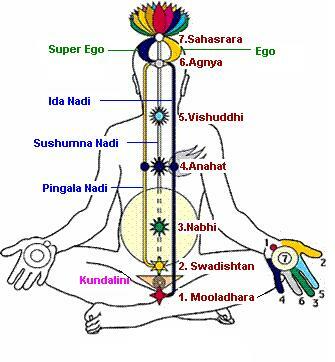 Information about the Kundalini or life energy will be discussed in part during each meditation. Through Sahaja Yoga you will command your inner self to come forth and you may visually see. It may also take a few practices to become unblocked and to awaken that part of yourself. Know that with each and every time you practice, you grow. Growing spiritually is like being a musician. You are given a blank slate and unless practiced regularly, you may never progress. To give you an example of what practicing Sahaja Yoga may feel like, I would love to share with you my personal experience. As some of you know, I have been teaching Yoga for many years. I have taught the mental practice of yoga as well as the physical. In my years of working with Spirituality I began to grow my own clairvoyant skills and became able to clearly see images and moving scenes. During a practice read with a fellow intuitive friend, he clearly said, “They said you have to teach Sahaja Yoga”. I had no idea what that meant, because I had never even heard of it. In fact, I thought he said “FAhaza Yoga” and had a hard time finding any information about it. After some extensive research, I came across http://www.sahajayoga.org/ and then was able to find a video to do the practice, which I will post below. I followed along with the video, which is a little bit difficult to understand due to language and accent barriers. With each part of the meditation, you will touch a different chakra area on your body and then follow a few exercises. I had a few really solid experiences during this mediation on my first try. First and foremost, I have never felt so ALIVE. I could literally feel the Kundalini awakening within me. It was a warm, physical sensation. Next, there is a portion of the meditation where you touch the Third Eye, and ask “Mother I want to Forgive”. When I placed my hand there and said these words a very clear and extremely vivid image of myself in the early 1800’s came to me. I was standing in front of a cemetery and I was, beyond angry. The sheer clearness of this hit home with me. I have been working to gain more information on this for quite some time now. Finally, when we moved to the crown chakra, you say “Mother I want my Realization“. What I saw has changed my life and brought clear understanding about myself almost immediately. I saw myself in my meditative space with very large white wings and was filled with peace. Since then, I have sought information on Incarnated Angels, though much of that information is dominated by one person, so I am still learning. And please share your experiences here! Love and hope for us all. Previous Post Live For Now!